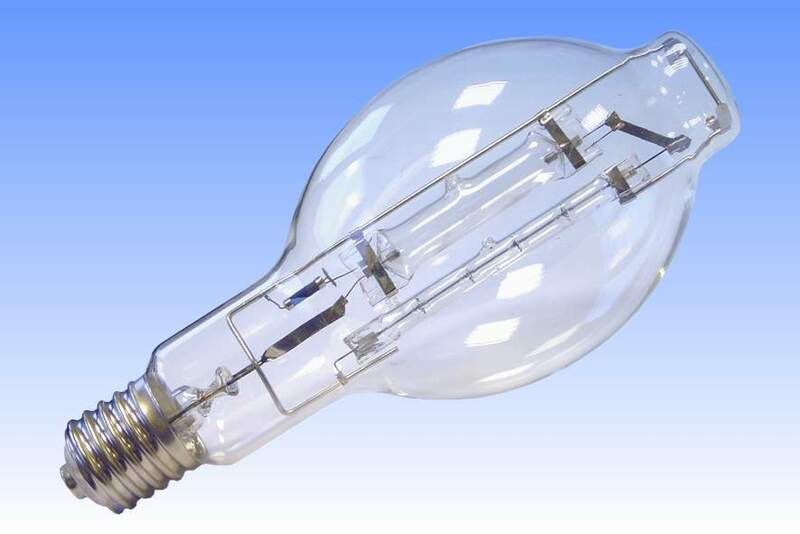 Self-ballasted mercury lamps have been on the market since their invention in 1935 by Siemens Bros in England, and traditionally they have always consisted of a bare tungsten filament inside the outer jacket of the mercury lamp. This results in a compromise since the filament and the arc tube both have different requirements for the gas filling in the outer jacket. The arc tube functions most efficiently if the gas filling pressure is low, to provide good thermal insulation, and additionally nitrogen has to be used since it will not break down in the regions where a high electric field strength may be present. The filament however requires a high gas filling pressure to extend its life by reducing the rate of tungsten evaporation. 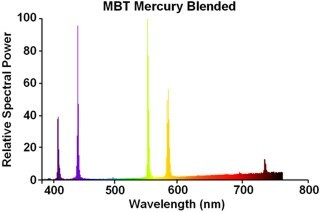 A high molecular weight gas such as argon is also beneficial, but is not compatible with the mercury arc tube. So a compromise has to be made and self-ballasted mercury lamps usually contain nitrogen at a pressure in excess of 500 torr for the outer jacket. In 1962 Osram-GEC showed a prototype lamp in which these problems were overcome by employing one of the newly developed linear halogen lamps as the ballast. The halogen ballast also boosted the total luminous flux of the lamp and improved the red colour rendering ratio, but in those early halogen days it was deemed too expensive to commercialise the idea. It was not until 2002 that a number of Chinese companies again picked up the idea, and now the halogen ballast is used almost universally among smaller companies. The halogen technology allows the customer to choose either increased luminous flux or a long-life mercury blended lamp. References: 1) XingJi Special Lamp Factory Catalogue, 2003.